Home » Blog » Get 50% Slider Revolution Discount To Power Up Your E-Commerce For Great Sales This Season! Envato and NWDthemes wish you to have an outstanding sales record this season! Envato have a lot of tools and plugins that can boost your sales. And great news — you can save on purchasing them at Envato E-Commerce Power Week. Until 7th October you can get 50% Slider Revolution Discount and other awesome tools! Mix rich features of Slider Revolution with your creativity and inspiration and impress visitors with attractive presentation of your products. 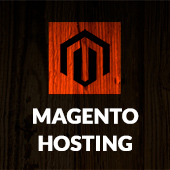 Easily integrate slides to any location of Magento store. Even build automatic sliders from your products stream. This is perfect tool for adding video and media content and even make it interactive. You can read even more about Slider Revolution features in Our Blog. 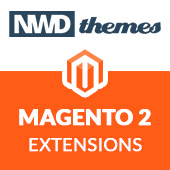 Oh, did i mention that it availbale for both Magento and Magento 2? Don’t hesitate to grab it! Offer is valid until 7th October 3:00pm (AEDT)! Get 50% Slider Revolution Discount on Envato E-Commerce Power Week! Make your E-commerce great again!